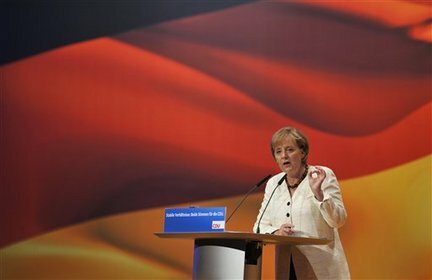 On November 9th Germany celebrated 20th anniversary of fall of Berlin wall as German leader in her speech denounced Iran for insensitive and misleading remarks on the Holocaust. Just a few days prior to the anniversary Mahmoud Ahmadinejad once agains stated that Holocaus is a ‘myth’ and that WWII was Germany’s self-defense against bullies like Poland, Belgium and Czechoslovakia. Gorbachev humbly smiled with tense frustration in his voice in a seeming disbelief of his own recognition: “Well, I guess I’m not such a bad leader after all.” Gorbachev’s remark was cut by a thunder of applauds from Western leaders’ side. Other leaders also expressed cheers over the “Wall Anniversary”, praised Gorbachev for refraining from trying to effectively govern USSR and condemned Ahmadinejad for questioning historic credit of Germany. Cool! It makes me maaa…. This is top-notch, your absolute best so far. Bravo, Sergey, braaaaavo!!! !